This cheerful balloon dog touch nightlight is sure to be adored by any child or fun loving adult. It is a touch light that activates when you squeeze his hind paw. After activating the balloon dog nightlight will emit light for about 30 minutes. This is perfect for a child who may need to visit the bathroom or fetch a glass of water during the night. Because it will turn off after thirty minutes you do not have to physically switch the light off. This function also makes this a perfect bedtime lamp. You can say goodnight to your child and leave the light on knowing that it will turn off shortly. This is great because many children do not like to be completely in the dark when they are going to sleep. You probably do not want to leave a light on all night either so this is a useful solution. 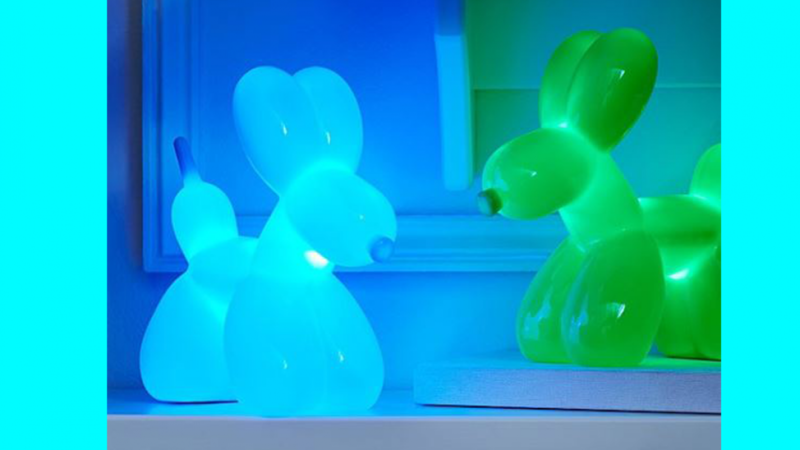 The balloon dog nightlight is a cute gift for any small child or new baby. New parents will find it useful to be able to use this light during the night when feeding or changing an infant. The light is made from plastic and silicon rubber because you do not want a glass light that can be knocked over and easily shattered by a small child. 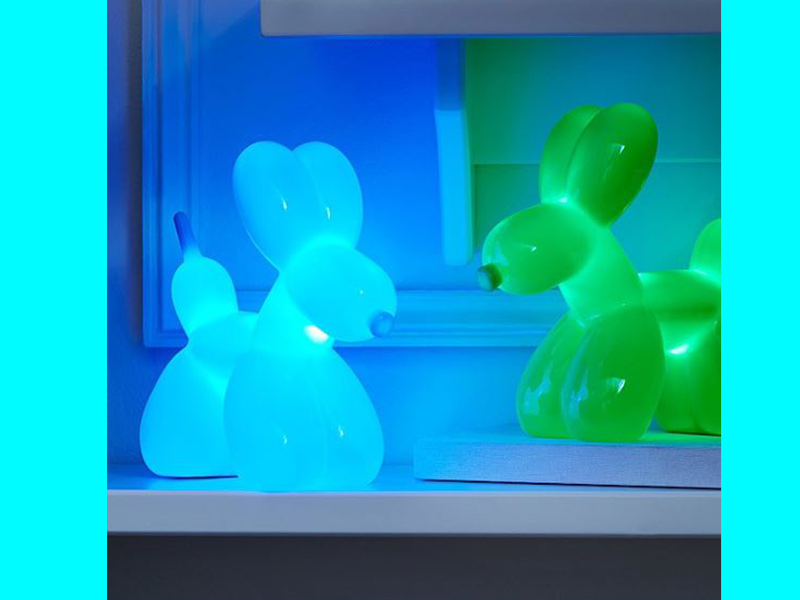 The balloon dog nightlight is available in blue, green and red.